The large serving dish is almost 60 cm long. Plenty of space to satisfy many guests. Let your phantasy guide you (salmon, shrimps, cheese, desserts…). 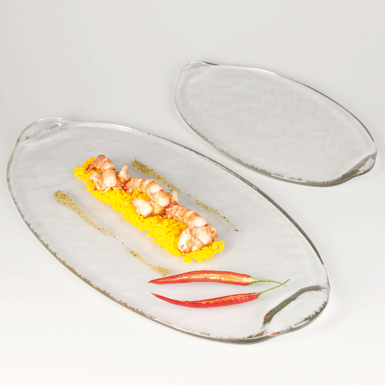 For smaller parties you can use the small Gastro plate.